The Sims™ 4 Create A Sim Demo: Early Access Signup! 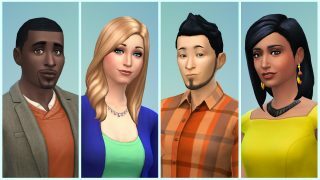 First of all, I want to say thank you to the players who have been helping us test the early trial experience of The Sims 4 Create A Sim Demo over the past week. We have received lots of really useful information which is helping us to polish our game, and we have seen how much fun you have been having creating your Sims. We have also seen how many of you want to join in and help us with the ongoing testing. I am pleased to tell you that we are now inviting anyone who is interested, to sign up for the chance to be invited into the early trial experience. All you have to do is provide your email (the one linked to your Origin™ account) in The Sims 4 Create A Sim Demo box on the home page. Spots in the early trial experience are limited and not everyone will be invited in. If you are selected to participate, you will receive an email invitation with full instructions at some point in the next two weeks. Please see our FAQ for more information on The Sims 4 Create A Sim Demo.